Te Papa turned 150 years old on 8 December 2015. 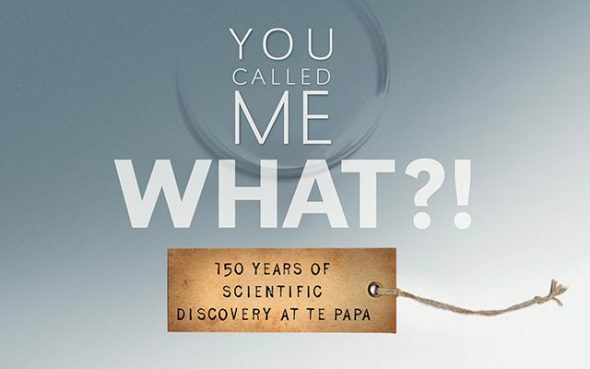 To celebrate 150 years since the opening of the Colonial Museum in Wellington, the exhibition ‘You Called Me What?! 150 years of scientific discovery at Te Papa’ will be open on Level 3 from late November 2015 until the end of 2016. The exhibition, and this series of blogs, explore the history of the museum by showcasing some of the more than 2,500 animal and plant species named by museum staff since 1865 – and seeking your suggestions for names for species that have yet to be described and named. Each blog will feature a museum staff member and one or more species that they have named (or have had named after them), explaining why the name was chosen. The obvious starting point is our founding Director, James Hector, who arrived in Wellington from Dunedin in 1865 to lead the newly-formed New Zealand Geological Survey. Hector was New Zealand’s original man of science, establishing nine scientific institutions in Wellington by 1870 (including the museum that became Te Papa), and leading most of them through to his retirement in 1903. James Hector was honoured in the names of many New Zealand plants and animals, as well as mountains and a township. 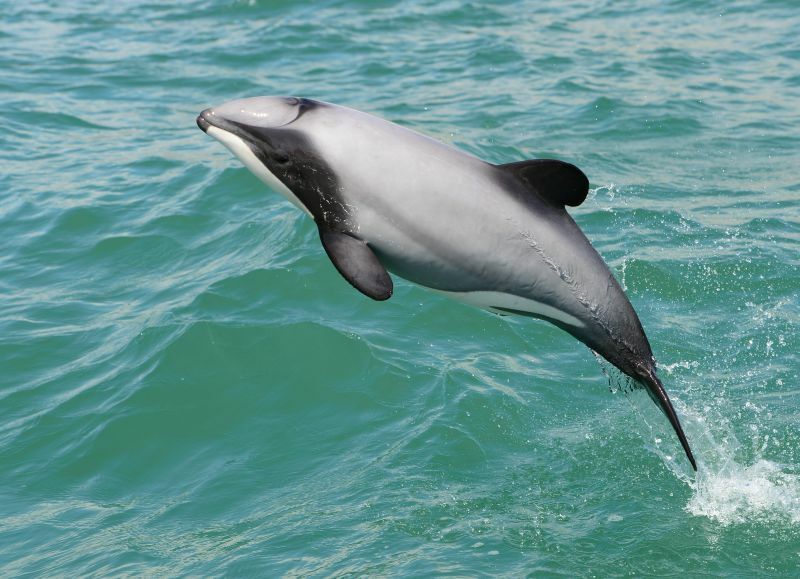 The species most strongly associated with him is Hector’s dolphin (Cephalorhynchus hectori) – a small coastal dolphin found only in New Zealand waters. Hector was the first person to give it a name, calling it Electra clancula in 1873. 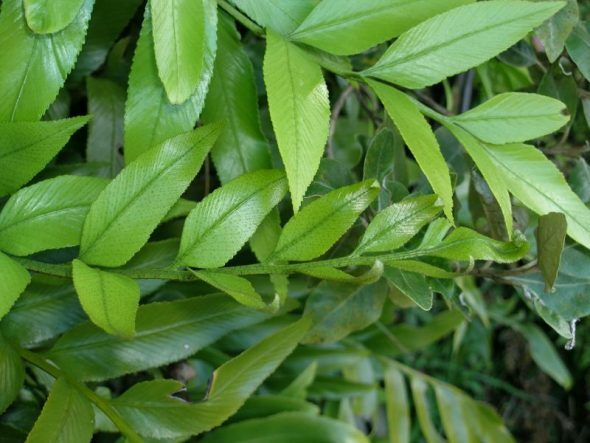 The genus Electra was an existing name, and while it has classical Greek origins, it was named after a ship. Hector didn’t explain the meaning of ‘clancula’, but it means anonymous, secretive or hidden, and it probably referred to the dolphin remaining hidden from scientists for so long. Unfortunately the name ‘Electra clancula’ had already been applied to the hourglass dolphin (now Lagenorhynchus cruciger) in 1868 by John Gray at the British Museum, and so a new name was needed for Hector’s dolphin. The Belgian zoologist Pierre-Joseph van Beneden proposed the name Electra hectori in 1881, and the species was moved to the genus Cephalorhynchus in 1885, creating the name we still use today. 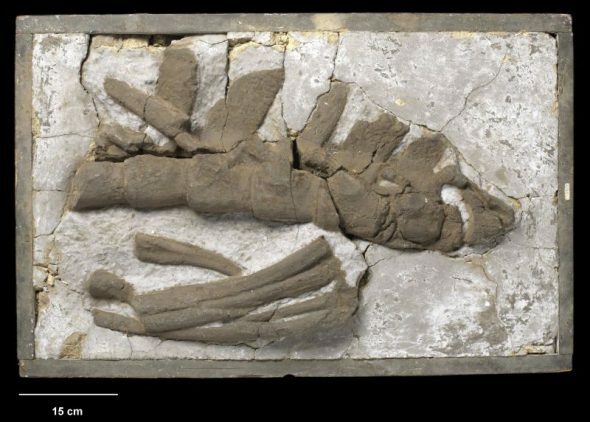 James Hector named many species himself, including two genera and nine species of giant fossil reptiles from North Canterbury and the Kaikoura coast in 1874. The two new genus names he coined were Taniwhasaurus and Mauisaurus – both clever amalgams of Te Reo (Māori language) and Greek. Hector did not need to explain the Greek ‘saurus’ (lizard), but explained the rest of his names as “After the Taniwha, or fabled sea monster of the Maori”, and “After Maui, the traditional discoverer of New Zealand”. New Zealand scientists continue to make frequent use of Te Reo in their scientific names. In addition to providing a connection to their heritage and culture, such names have the advantage that it is very unlikely that the same name would have been used previously elsewhere in the world, thereby avoiding Hector’s clancula clanger. For 150 years, Te Papa scientists have been working to discover, describe, and name new species. Now it’s your turn. Celebrate 150 years of science at Te Papa by helping us name a new species. You might just go down in history. Suggest a name for this Asplenium fern. We’ll seriously consider your idea. You can make a submission in the exhibition or by emailing youcalledmewhat@tepapa.govt.nz. Please include why you chose the name. See our website for terms and conditions, and helpful hints on making a suggestion. Tagged: etymology, Hector's dolphin, James Hector, Mauisaurus, Taniwhasaurus, You called me what? A bit like the public being asked to suggest names for storms as they do in the UK these days. Any rules? … and how much do you need to know about biology to come up with an acceptable name? I have a copy of correspondence by Charles Rooking Carter to Dr Hector, when Charles was obtaining a Mummy for NZ in 1885. I have been down to your Archives some years back to view the Mummy as well.. Ross showed it to me. Often think I should have been alive in those days. Wasnt it James Hector that William Skey worked with, he was the Colonial Government Analyst for over 30 years, married into the Francis family of Clareville, and buried at Clareville Cemetery, hence my knowledge off William, his brother Henry was in South Island. 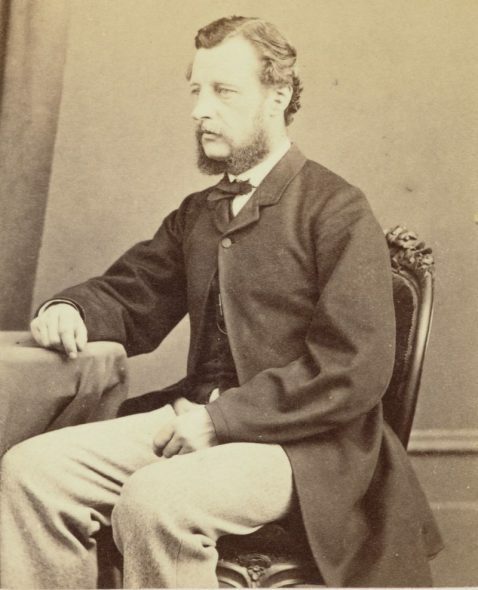 Yes – William Skey (1835-1900) was one of the three men (along with John Buchanan and Richard Gore) who James Hector brought with him to Wellington from the Otago Geological Survey in 1865. Hector employed Skey in 1862, to assist with laboratory work contributing to the survey. Skey ran the Colonial Laboratory (one of the scientific institutions established by Hector) which evolved into the crown research institute ESR. There is much information about Skey in Simon Nathan’s biography of James Hector, published this year by the Geoscience Society of New Zealand. thanks, he is buried at the cemetery where I am researching, he was a very interesting person, I have a hand written letter by him in my collection…he married Walter Francis’ sister Louisa Francis. needs us to organise them then! lets hope they get organised to help visitors.